Here's why some people adore the smell of puppy breath and how to maintain it as long as possible. Most people wouldn't automatically associate dog breath with a great smell, but there are many puppy owners who know and love the scent of sweet puppy breath. Ever wondered why a puppy's breath could smell so good while a dog's is generally horrid? The origin of this pleasant-smelling breath is largely unknown to puppy parents. Take a moment to learn why a puppy's breath is such a treat for many dog lovers. A puppy's sweet breath may be the combination of a couple of different things. "Puppies are still drinking their mother's milk and are not yet exposed to the sometimes stinky foods that larger dogs eat," says Dr. Thomas E. Catanzaro, a veterinarian at Veterinary Consulting International. "Their breath has that sweet mother's milk smell because their mouths are clean and haven't yet developed any bacteria or plaque, which typically causes odors." He adds that some people may not experience this sweet smell because of their puppy's health or particular habits. "A puppy's breath can easily be soured by an illness, an impacted tooth or if he has a tendency to eat poop, which some dogs do." Pleasant -- or at least non-offensive -- puppy breath has a lot to do with good oral health. "Before puppies start to teethe, their mouths are clean and healthy. Once they are teething, their gums bleed and the pooled blood can start to cause unpleasant smells," Dr. Jeff Werber, a veterinarian in California, says. "Once dogs reach the age of three and older, they start to develop plaque and bacteria, possibly creating even more bad odors." Dr. Catanzaro also notes that some vets believe sweet-smelling puppy breath is "the result of gas leaking into the puppy's stomach from his developing esophagus." Sweet puppy breath usually disappears after a few months, unfortunately, according to Dr. Catanzaro. "A high percentage of dogs (and cats) develop some type of periodontal disease after the age of three," says Dr. Werber. "This is the ideal time for pet owners to take their puppies to a vet for a professional examination and teeth cleaning." Subsequently, with preventative care and routine maintenance, unpleasant-smelling breath doesn't necessarily have to be the next step. It may not be possible to prolong sweet breath, but to help prevent bad odors you can be proactive with your puppy's oral care. Dr. Catanzaro recommends using a soft toothbrush and dog toothpaste at least a couple of times a week on your growing dog. It's important to take this activity seriously. "As bad breath is often an indicator of periodontal disease, taking the time to do regular cleaning and maintenance of your dog's teeth may help to prolong his life," he warns. Dr. Werber takes the commitment to routine maintenance one step further. "Brush your dog's teeth daily, or at least three times a week at minimum." He also advises using supplements such as dental chew toys or putting additives in your dog's water which help with overall dental hygiene. Lastly, Dr. Werber recommends taking your pet to see the vet at least couple of times a year for checkups. "Going for your monthly grooming appointments is not enough. Dogs need to be examined regularly by a licensed veterinarian to help prevent disease and maintain their health." Your groomer can also give your dog's chompers a brush right after the shampoo. Looking for more tips on how to keep your dog's teeth clean? 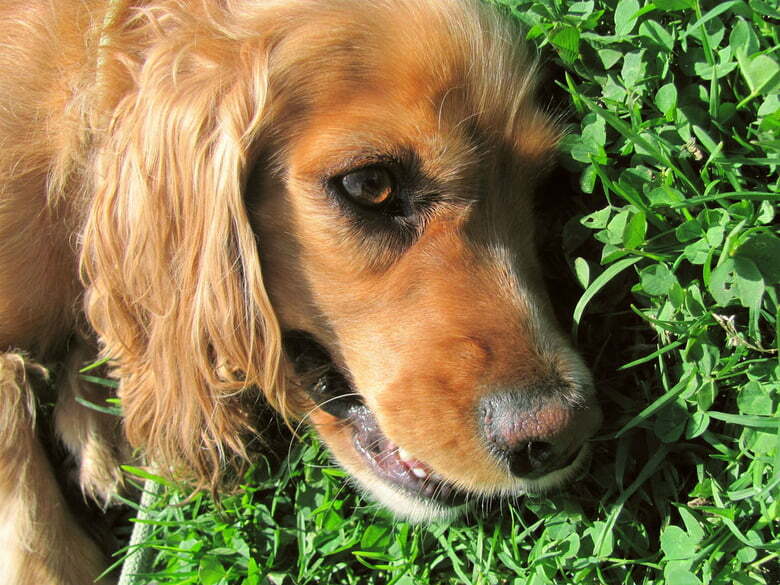 Take a look at Dog Teeth Cleaning -- How to Thoroughly Clean Your Canine's Canines. Tisha Berg is a mom, wife, blogger, cat owner and dog admirer. She writes for Working Mother magazine, Kids in the House and Mom Bloggers for Social Good and you can catch up with her on her travel and family activities blog, Biz Mommy.